← Wood does make a difference! I think most people are a little scared to open up and tinker around with their guitar pickups and effects pedals. It’s like there’s some sort of special voodoo magic inside the components that shape our tone. Truth be told most of the time there’s nothing too crazy to deal with, and as long as we are careful and methodical anyone can experiment and modify. 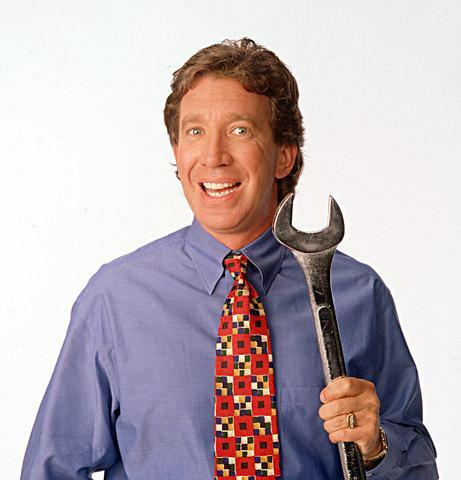 Let me start off by saying my family jokes around and calls me “Tim the Tool Man Taylor”, the hilarious main character from the nineties sitcom “Home Improvement”. As anyone familiar with this show would know Tim was a well meaning DIY kind of guy with his own cable TV program, who couldn’t help but continually break and destroy whatever he was working on. Now I am not that bad, but I have had my moments. My Dad and brother definitely got the handy man skills, but I’m not completely useless, and I usually know my limits. I’ve been playing guitar for nearly two decades now, but I’ve only in the past year or so gathered up the courage to try some guitar related electronics DIY. I wanted to write a couple of articles for those of you who have thought about getting into DIY, but haven’t felt confident enough to actually embark on the journey. I want to let you know that even if you are clumsy, and a bit of a “Tim the Tool Man Taylor” like me you can still give it a go and have lots of fun doing so. If you are interested, and missed it, part 1 was about modifying effects pedals. Swapping magnets and half-air mods are easy as long as you take care. Most of these DIY projects I post about here on Lone Phantom.com is due to me not having a lot of cash to spend on gear. I try to extract the best I can out of things if they aren’t hitting the mark for me. Sure I could just sell things on and buy something else, but that’s a bit of a hassle if I can’t find what I’m after for the price I can afford (always expensive in Australia, and depending on exchange rates expensive to ship in stuff from overseas), plus modifying things to achieve the sound I’m after is quite satisfying. I played EMG pickups on my main guitars for several years. When I got my Ibanez RG550 RFR 20th Ann back in mid 2007 I wanted to start playing around with some passive pickups again. I wasn’t really happy with the stock Ibanez V2 bridge pickup in it as it didn’t have enough output for my liking, and was a little muddy. I decided in 2010 to try a DiMarzio PAF Pro in the bridge. Being a fan of Paul Gilbert I wanted to see if I could get close to his tone with the PAF Pro in my RG550. I managed to get myself a green PAF Pro from an old Ibanez Jem, and readied myself to install it. After installing the PAF Pro I plugged into my Blackstar HT-5 and switched over to the dirty channel. I found that I really liked the tone of the PAF Pro, but like the stock V2 it just did not hit my amp in a way that truly satisfied me. Sure, I could use an overdrive pedal to push the gain to my liking, but I didn’t want to have to worry about that. Seeing as I quite liked the tone of the PAF Pro I thought I would have a go at replacing the stock Alnico 5 magnet with a ceramic one to boost the output a bit. I had some old stock Ibanez Infinity pickups that could provide donor magnets, and set about ripping open the bridge pickup to get the ceramic magnet out. I figured that since it was the first time I was pulling apart a pickup it was a good idea to pull apart some old ones I didn’t want to use again, just in case I broke something during the process. People generally seem a bit freaked out at the thought of opening up the back of a pickup. All of that super thin wire coiled around hundreds or thousands of times, which if broken renders the pickup useless. The fact is, if you are very careful, and are gentle with opening up the back plate there is nothing to fear. Unscrew the back plate, move the pickup tape off the lips of the back plate and you’ll have nice easy access to the magnet. The magnet can be a little difficult to move, with its magnetism and all. The wax potting can also hold it in quite strongly too. Using a small flat head screw driver to gently pry the magnet out isn’t too difficult. Just make sure that you work from the end that doesn’t have the pickup wires as you are less likely to damage the wires. I swapped the Alnico 5 magnet with the ceramic, put everything back together, and plugged in to my amp again. I was greeted with a bit more output, and a slightly more trebly tone, but still not quite where I wanted to be. I contacted Perry Ormsby of Ormsby Guitars, an Australian luthier, and asked him if he had any more powerful ceramic magnets. He had a thicker magnets he used for some high output Ormsby pickup models, and sold me one to try out with my PAF Pro. This magnet was quite a bit thicker than regular humbucker magnets, and was quite a squeeze. It actually separated the two humbucker bobbins a bit, which was a bit of a worry. The PAF Pro worked fine though so I didn’t worry too much. I understood later though that it was probably as a result of over-tightening the back plate screws. Plugging in my newly modified PAF Pro was a little hit and miss. I finally had the output I desired, but the tone was far too bright and twangy for my liking. I ended up reverting it back to the stock Alnico 5 magnet, and found an excellent home for it in the neck position of the guitar. What I learnt from this first foray into pickup modifications is that I needed to research a bit more on what sort of magnets were available for humbuckers. I ended up discovering Alnico 8 magnets, which are dubbed as the best of both worlds when it comes to Alnico 5 and Ceramic magnets. I recently put one of these into my PAF Pro, and it’s now back in the bridge position of my RG550, with the same tone that I loved, with just the right output to suit my tastes. I’ve since played with other pickup modifications, both internal and external. I’ve performed the half-air mod on a few pickups, which is pretty simple if you’ve changed a magnet before. A great mod that doesn’t involve opening up the pickup is adding a capacitor from the pickup’s hot wire to the pickup selector. If your pickup has too much bass for your liking it is a very simple modification, and cheap to boot. Pickups may be a little scary at first to work on, but if you remain calm, patient, and be gentle with them you should not have any problems. The tape around the pickup may be a bit brittle if you are working on an older pickup, but that can be replaced quite cheaply. Stewart-MacDonald sells rolls of this tape for a few dollars, so you can always order some to have on hand if you have problems with an old pickup. I actually used some black electrical tape on one pickup I modified recently and it worked fine! So good luck to all of you thinking of delving into the fun world of guitar DIY. Leave a comment on any of my DIY articles, if you are looking for advice or help, or just want to say hi.